Benjamin Cowgill, Counselor and Attorney at Law, Lexington, Kentucky, focuses his career in the field of legal ethics. He is the former Chief Bar Counsel for the Kentucky Bar Association and a well-known presenter of CLE programs on various aspects of law office technology, including ethical considerations. Mr. Cowgill can be reached via email at ben@cowgill.com. John Steele, Ethics and Conflicts Director and Special Counsel, Fish & Richardson P.C., Silicon Valley, is responsible for resolving firm wide issues related to conflicts of interest and ethics particular to IP practice. He regularly lectures on legal ethics at law schools throughout California. Mr. Steele can be reached via email at jsteele@fr.com. 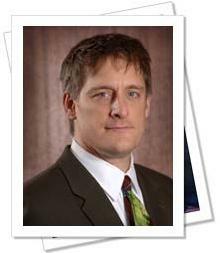 Brett J. Trout, Law Offices of Brett J. Trout, P.C., Des Moines, Iowa, represents clients in patent, trademark information technology issues. He is the former president of the Iowa Intellectual Property Association and author of the book, Internet Laws Affecting Your Company. Mr. Trout can be reached via email at trout@bretttrout.com. Posted in Internet Law. Tagged with email, information technology, law school, trademark.